It’s hard to believe that spring is right around the corner. However, when you look at your house it doesn’t look anywhere near ready for spring. Over the winter clutter has built up and now is the time to say goodbye to that clutter and it’s friend “dirt.” I don’t know about you but my Spring Cleaning Adventure starts early and can really pump me up for Spring! Here are a few tips to get you going! 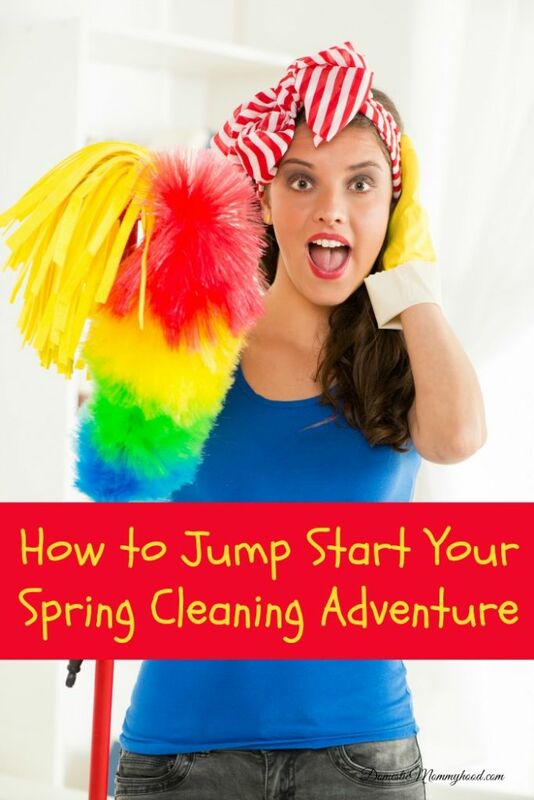 You may not be much of a list maker, but when it comes to spring cleaning you really don’t have a choice. Making a list helps you know what you need to clean and then you can mark it off when it’s all said and done. There’s nothing worse than trying to spring clean and you realize you have none of the correct cleaning supplies on hand. Shopping for cleaning supplies before you start cleaning is one smart move. Also, this is another reason why making a list makes so much sense. When the cleaning supplies are in your home and ready to go, what excuses do you have left to avoid spring cleaning? “Rome wasn’t built in a day…” Don’t forget this when you’re trying to spring clean your home. This is called a spring cleaning adventure for a reason. You can’t expect to get it all done in one day. So, take it a little at a time to help you keep your sanity. When it comes down to it, junk is your worst enemy when it comes to trying to spring clean your home. If you can sell it, donate it, or trash it, then you can get rid of the junk that’s lurking in your home. Taking the time to declutter every day is also another way you can keep the junk at bay. When your house is less cluttered, spring cleaning is going to be a breeze. How do you get motivated to spring clean your home? I year round clean instead of spring cleaning, but I do spring purge! It makes cleaning so much easier. Thanks for coming to the Inspire Me Linky Party on Monday. I’m Janice, one of your hostesses. Spring cleaning is a must, , good new your post has been featured on the Show Me Saturdays Link up party this week on SWEET HAUTE.